Robert Garcia is a video game character created by SNK Playmore, formerly known as SNK. Robert stars in the fighting video game Art of Fighting as the lead character along his best friend Ryo Sakazaki. The game features both of them as practitioners of the Kyokugenryu Karate fighting who search for Ryo's younger sister, Yuri Sakazaki, who was kidnapped by a criminal named Mr. Big. He is additionally featured in most of The King of Fighters crossover games, in which starts into the King of Fighters tournament in teams composed of three members. Thus far, he has been a playable character in every edition of KOF except The King of Fighters XI; however, he has recently been added back in for the PlayStation 2 version of the game. 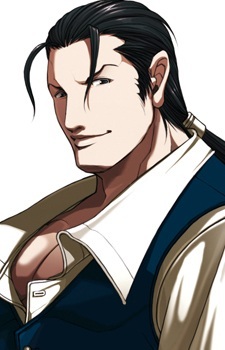 Robert has additionally appeared in the film adaptation of Art of Fighting, and the manhua from The King of Fighters. He received mixed critics from video games publication, which praised his design, but some also noted him similar to the Street Fighter main characters. He has also been well-received by gamers, appearing in several popularity polls developed by journals and websites.